In September 1876, the first International Congress of Otology was held New York. The Congress was organized by aural surgeons Daniel Bennett St. John Roosa (1838-1908), Clarence J. Blake (1843-1919), Jakob Hermann Knapp (1832-1911), and J. Orne Greene. These surgeons were all members of the American Otological Society, which was formed in 1868.Urban Pritchard (1845-1925), demonstrator of practical physiology at King’s College, London, was the British representative on the organizational committee. As outlined in the invitation, the Congress was organized to bring together a “number of gentlemen who take an active interest in Otology,” and who were already gathering for the Centennial Anniversary of United States Independence, the International Exposition in Philadelphia, the International Medical Congress in Philadelphia, and the International Ophthalmological Congress in New York. Papers presented highlighted several interesting cases in anatomy and physiology of the ear, though with little discussion. For instance, Blake presented a paper on a new German instrument for determining hearing power through bone conduction, constructed with “a series of metal tongues set in vibration by means of pins arranged upon a metal barrel, after the fashion of a music box.” Other papers provided case studies of perforation of the tympanic membrane, syphilis of cochlea, and diseases of the mastoid, demonstrating a clear exchange of ideas, observations, and surgical procedures across international boundaries. Though the American aurists formed a society in 1868, and the Germans in 1881, the first British society, Pritchard and Arthur H. Cheatle (1866-1929) did not establish the Otological Society of Great Britain until 1899. Seven years later the Society would become the Section of Otology of the Royal Society of Medicine. 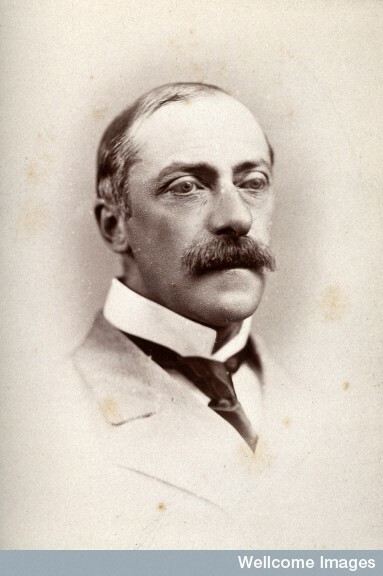 Sir William Bartlett Dalby (1840-1918) was the first President of the Society; Pritchard, Thomas Barr and George served as vice-presidents, Alphonso Elkin Cumberbatch as treasurer, Edward Creswell Baber as librarian, Charles Alfred Balance and Cheatle as secretaries. T. Mark Hovell, Peter McBride, Victor Horsley, William Milligan, Edward Law, and Arthur Sandford served as the Council. Adam Politzer, for his remarkable contributions to the field and for encouraging a new generation of otologists, was made honorary member. Formal elections of members based on contributions to otology, special opportunities for advancing otology, and professional eminence. I venture to predict that this Society has a great future before it. Since that it comprises amongst its members all the aural surgeons attached to the Metropolitan Hospitals and very nearly all of the Provincial Hospitals, as well as that of Scotland and Ireland, it cannot fail to succeed and exercise a very important influence on the progress of British Aural Surgery; for it will represent year by year the work of the aural surgeons, and will record it. Dalby also emphasized the drastic transformation of the field since the 1870s, when only a handful of aural surgeons were appointed to London hospitals and the “public had not learned to apply for aural surgery, except at one well-known institution [the Royal Dispensary for Diseases of the Ear]; the bulk of patients went for treatment and cures to those who professed to treat and cure, and confined themselves to professing, for there was nothing beyond.” He encouraged aural surgeons to rest their “feeling of jealously” and to increase the opinions of their field.